Detective Ricardo Rodriguez has been in Law Enforcement for 18 years and is currently assigned to the Criminal Investigation Divison. Detective Rodriguez has over 29 years of motorcycle riding experience, starting his riding at 7yrs old. 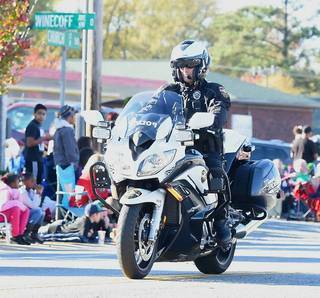 Detective Rodriguez has completed the North Carolina State Highway Patrol Basic Motor Officer School.